The /Ai/Ais-Richtersveld Transfrontier Park that straddles the border of Namibia and South Africa is a unique environment for adventure sports activities, having beautiful mountainous scenery, a remote wilderness character and the presence of a major river within a desert environment. 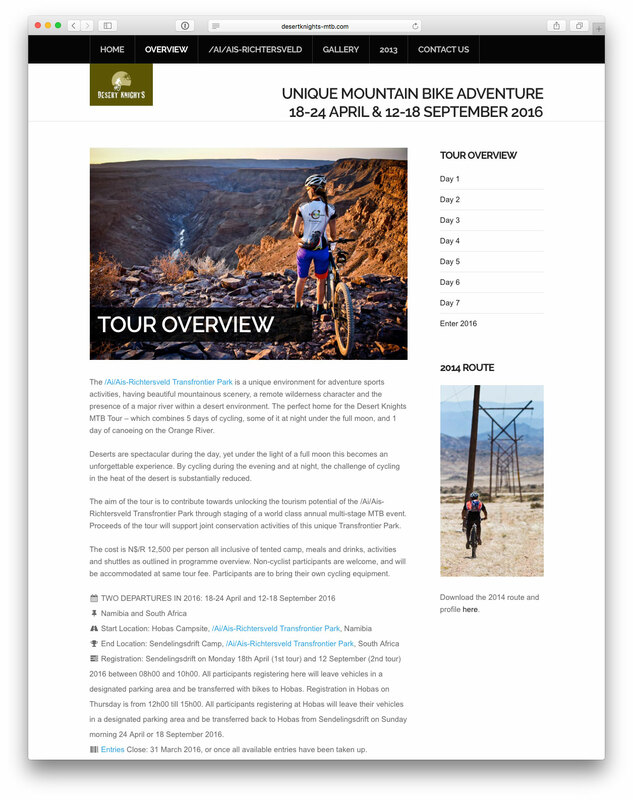 The perfect home for the Desert Knights mountain biking tour, which combines 5 days of cycling at night under the full moon with a unique education and encounter experience in this ancient environment. 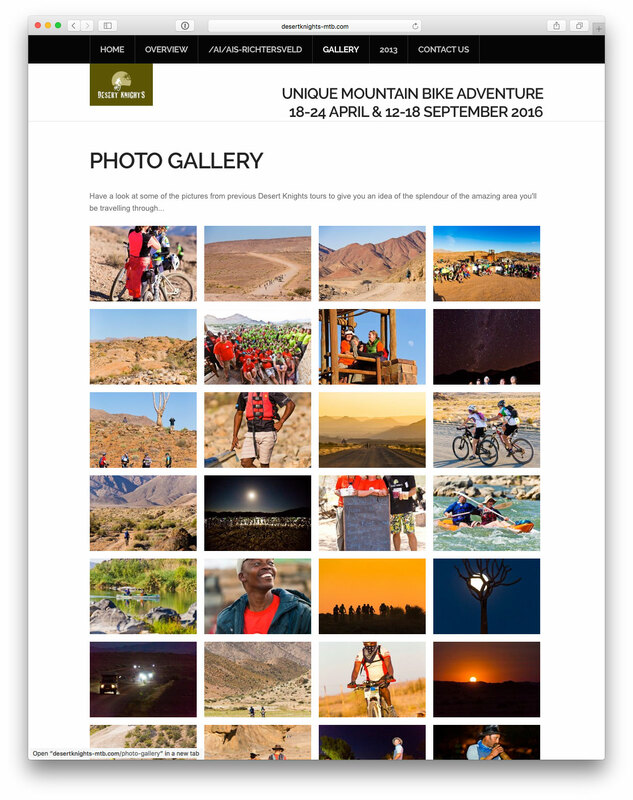 THINKTEAM delivered a picturesque portfolio site for the Department of Namibian Wildlife Resorts to market the event.